Ryhope CW came from a goal down to see off Guisborough Town 3-1 at home in their Northern League Division One match. 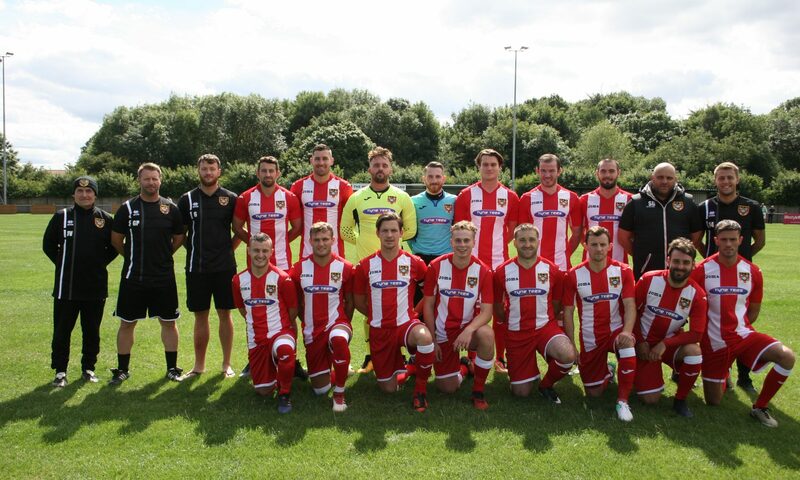 It was a much-needed win for Ryhope, coming off the back of two defeats from two performances in which they felt they could have got something from the game. Nathan Steel gave Guisborough the lead. Ryhope responded before half-time through Micky Rae. A goal from James Ellis and a second from Rae ensured the three points for Colliery Welfare. There were two changes from Tuesday night’s defeat to Consett, Michael Rae coming into the XI after a few weeks out of the starting XI. Guisborough had the first good chance, John Seaton latching onto a through ball to go one-on-one with Joe Atkinson who got down well to make a smart save to his right. The away side took the lead in the 15th minute, a dinked free-kick resulting in a scramble in the Ryhope box before the ball feel to Steel to poke home. Colliery Welfare almost responded immediately, Danni Lay making a run from centre-back, it opened up for him to shoot and he fired it narrowly over the crossbar. Welfare were pushing, Ellis’ low-hard drive from 30-yards out forcing a parry from Jordan Nixon, Rae was on the follow-up but the ‘keeper recovered to spread himself in front of the ball. They finally found an equaliser in the 28th minute, Ellis latching onto a ball down the left cutting in and finding the right post. Rae was on hand to tap home on the rebound. Lay attempted a cross in the 42nd minute which turned out to be on target and caused problems for Nixon who had to adjust to tip over the bar. Ryhope were clearly on the front foot at the end of the first-half and it took only five minutes into the second before they took the lead. Ellis picked up the ball on the left and made a great run before smashing the ball home under pressure. Colliery Welfare doubled the lead in the 63rd minute. They won a free-kick around five yards out of the left-corner of the box. Rae stepped up with a great strike into the near corner, no chance for Nixon. Ellis got on the end of a through ball in the 67thminute, but his attempted chip was narrowly wide of the right post. There was little further action in the second-half. Ryhope should have had their fourth through Nicky Kane who twice came close from outside of the box in the 84th minute. The first came as a result of a Ryhope counter attack and the second saw his shot miss the target after some great attacking play from Corey Nicholson. The win leaves RCW a place higher in 12th, they now have a week off before their fixture away at struggling Penrith who currently sit bottom with just one point.